There's no time better than right now to start living the life you've always wanted. For seniors who've worked toward a fulfilling retirement their whole lives, this is especially important. Independent senior living staff members understand this need. That's why we've built an ideal community for seniors to foster family relationships, build new friendships and engage in an active lifestyle. "Many seniors wish they'd made the move sooner." Many adults have no current plans to move to an independent living center. According to research by AARP, nearly 75 percent of Americans over age 45 feel strongly that they want to stay put in their current homes as long as possible. While this is statistically a popular choice, is it a smart decision? When it comes to finances, the answer is no. 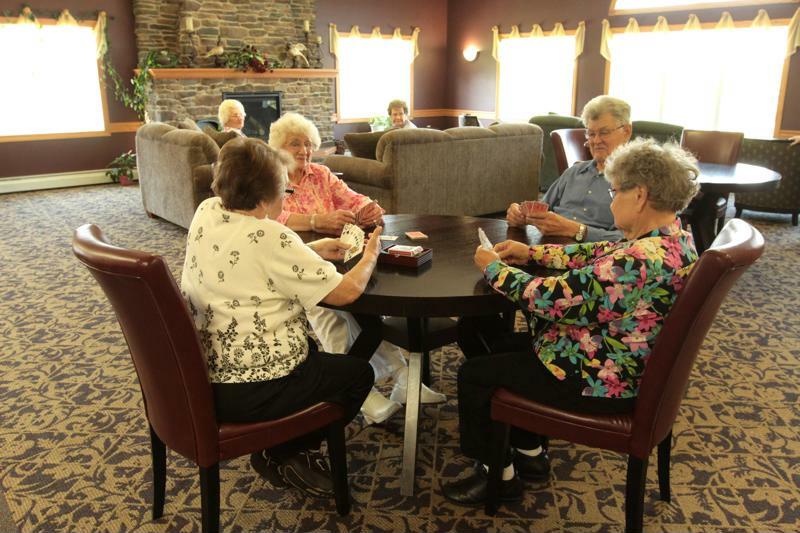 Moving to an independent senior living community is typically more cost-effective than staying at home. Between keeping up the house and paying for medical expenses, living at home during retirement can be costly. In fact, a Bankrate survey revealed that only 38 percent of respondents would be able to cover a sudden $1,000 expense with their savings, meaning most people aren't financially prepared for the unexpected. In a senior living community, you don't have to be. With the benefits of downsizing, maintenance and landscaping services, billing with utilities included, no homeowner's insurance and even elimination of car insurance if you opt for our transportation services, there are no surprises. It's important for seniors to socialize in order to live a fulfilling retirement lifestyle. When you live at home alone, you're left to your own devices all day. At a senior living community, on the other hand, there are plenty of opportunities for seniors to make new friends. With organized group activities, transportation services, a friendly atmosphere and plenty of neighbors, boredom is never a problem. Plus, making new friends can have unexpected health benefits. According to the University of Rochester Medical Center, social seniors may experience reduced risk for cardiovascular problems, Alzheimer's disease and rheumatoid arthritis. There are plenty of opportunities to make new friends. Care is always there at an independent senior living center. While independent living residents aren't as monitored as they would be in assisted living or Alzheimer's care, they can rest assured that there will be help available whenever they need it. Plus, seniors can always transition to new retirement living arrangements as their health needs change. Additionally, seniors may be more motivated to work out with group exercise classes or by strolling along the beautifully landscaped walking paths. Seniors often find that living in a retirement community is even better than expected. With new friends, financial savings and peace of mind, seniors have every reason to take advantage of this amazing opportunity.